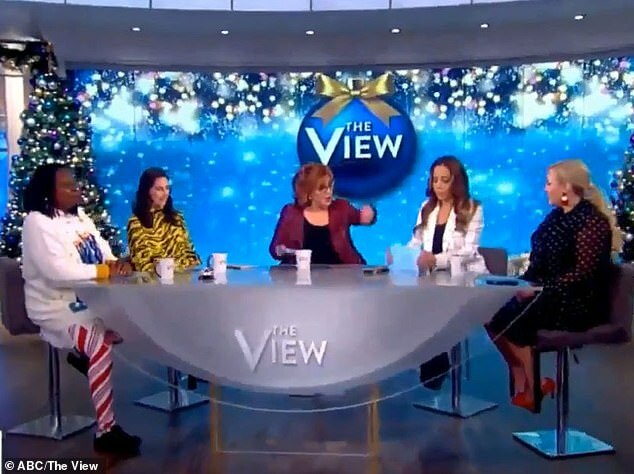 Moderator Whoopi Goldberg was forced to cut to commercial break after viewers saw the two hosts go at it during a heated exchange - which later escalated off air, a show insider told DailyMail.com. But just a few minutes in, the conversation went south when Behar threw Trump's name into the mix while commending Bush's support for environmental issues. 'I want to say one thing about him that was not picked up really, because as a candidate he said, 'Those who think we're powerless to do anything about the greenhouse effect, are forgetting about the White House effect,' then he signed into law the Clean Air Act amendment of 1990, one of the most sweeping environmental statutes ever,' she said. 'This president that we have now is trying to unravel everything that he did and Obama did, and if I ever become a one-issue voter it will be about pollution and the greenhouse effect -' she said before being interrupted. 'Can we focus on the president, please. I don't want to talk about Trump, we're honoring a great president,' McCain interjected. McCain countered: 'Well I don't care what you're interested in either, Joy!' before Whoopi quickly called for a commercial break. 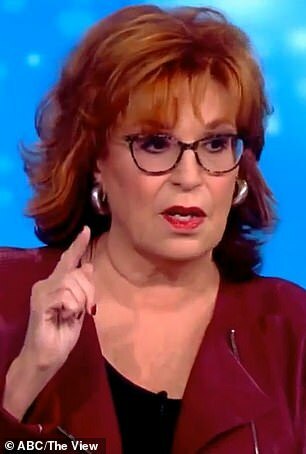 Behar's was then seen slamming her cue cards on the table and turning to sound off on McCain, right before producers cut to break. Producers muted Behar's microphone so that her expletives would not be heard on air. 'If this s**t doesn't stop I'm quitting this damn show. I can't take this much more,' Behar allegedly fumed. 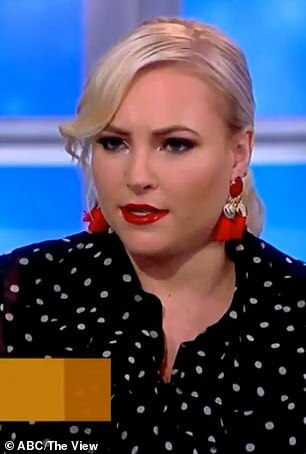 McCain, who producers on the show have allegedly nicknamed 'The Ice Princess' and 'Elsa' from the film Frozen, due to her cold demeanor to staffers on the show, turned red following the blow-up her. 'Everyone was frantic. The last thing they wanted was for Joy to walk off the show. She's done that before. Remember the Bill O'Reilly situation? She appeared just as disgusted as she did that day and they only had two minutes to contain this explosion on set and get everyone positioned to return for the next live segment. It was utter chaos on set,' the source said. When McCain returned to The View on October 6 following an extended hiatus after the death of her father, the late Senator John McCain, everyone on the show handled her very delicately because they were told by network executives that she was 'very fragile' and 'still in deep grief' seven weeks after her father's funeral. 'Producers have been fearful that things were becoming combustible again with Behar and McCain after a few tense exchanges on air, but were hoping the two could make it through until the December hiatus later this month so that everyone could have a few weeks to relax. As you see, that didn't happen,' the source explained. Following the live Monday show, neither woman spoke to each other and producers and network executives met with them individually in their dressing rooms. 'This isn't the last you've seen of these two coming to blows. You can trust and believe that,' the source said. This is not McCain's first spat with Behar and as previously reported by DailyMail.com on multiple occasions, McCain has feuded with her other co-hosts Sunny Hostin, new Friday co-host Ana Navarro and former co-host Sara Haines. She previously had a tense on-camera blow-up with Whoopi Goldberg as well. She's also had major drama with several high-ranking producers and ABC executives, according to insiders. 'As toxic as she may be and all the hell she raises behind the scenes, the truth is The View's ratings are up and ABC is turning a blind eye to Meghan's awful behavior because of it. And unless the ratings drop or Meghan actually quits, she's not going anywhere anytime soon,' the source concluded.